By now, valid and invalid tickets sold privately are impossible to tell apart. Since we block any tickets that are lost in the mail, it is possible that invalid tickets appear on secondary sales platforms. Furthermore, all tickets are only validated right before being mailed. This procedure makes ticket sales safer and makes it easier for us to replace tickets for the buyer if needed. 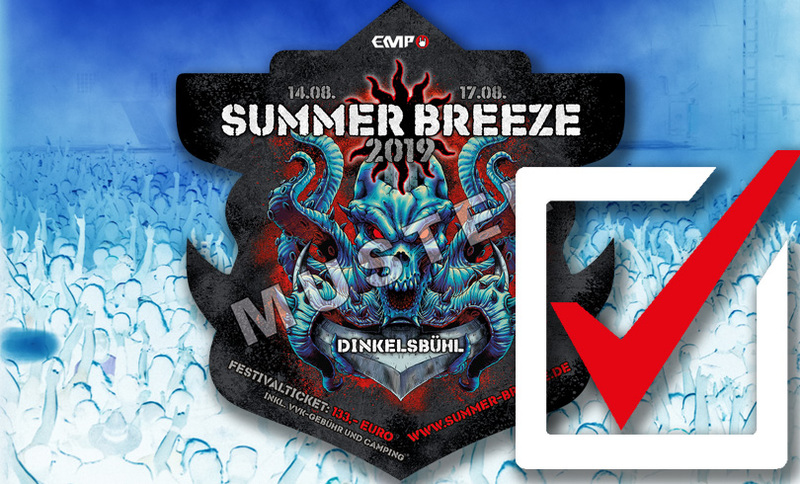 The original tickets are sold at www.summer-breeze.shopand on the official pre-sale points listed on our website only. We strongly discourage purchasing tickets on internet platforms or from ticket touts outside the festival.